Amy Byard is a busy woman. She works part-time as a speech-language pathologist for Total Rehab Care, and goes home to a husband and two children. She, like many women, must juggle her work-life and home-life, caring for her patients, her family, and herself. Finding the right balance can be difficult. Amy knew it was important to exercise regularly so she joined the local gym and did weight training, the elliptical machine and the treadmill. Exercise was not something she enjoyed but she discovered the exercise she minded the least was running, so she started running more and eventually signed up for a 5K (3.1 miles). The first few 5K's were very challenging and at the end, Amy still didn’t love running. Fast-forward five years. Amy is now about to embark on her 6th half-marathon (13.1 miles). 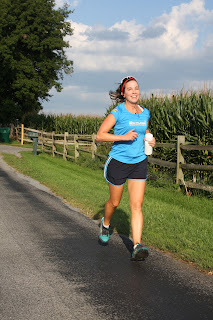 Somewhere between her starting point and now, she’s grown to love running. She’s noticed that she doesn’t quite feel right if she doesn’t get a few good runs in every week. Running reduces her stress, makes her more patient, and provides a sense of peace. It’s a time for her to get out of the house and take care of herself. 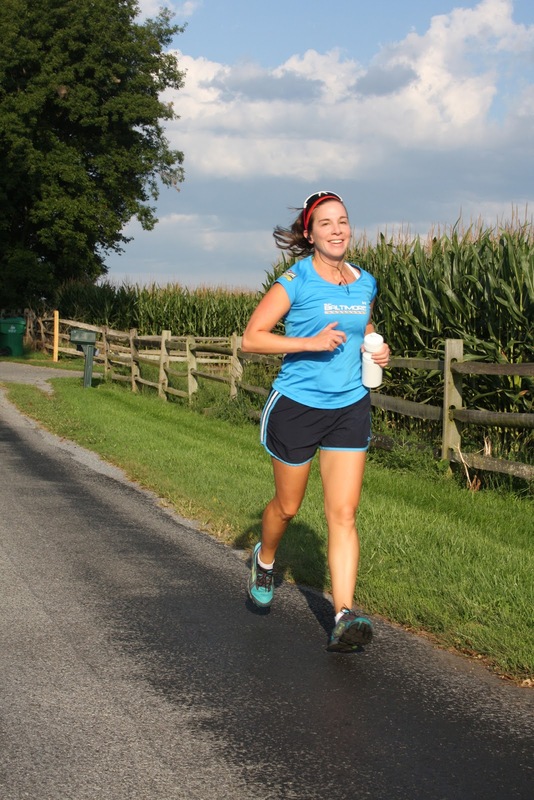 It’s her “me time.” Her family and running buddies are supportive of her new hobby (and addiction), which helps provide that extra push she needs to run up a tough hill or complete the last few miles of a race. A story by Popular Mechanics supports this statement as well. In The Animal Kingdom’s Top Marathoners, they listed the top six land animals, and humans came in at number 5, before horses (#6), and after sled dogs (#4), camels (#3), pronghorn antelope (#2), and the ostrich, which came in at number 1. So the next time you think that running isn’t your thing or that you aren’t built for it, think about the thousands of years of evolution that honed humans to become one of the best long-distance runners in the animal kingdom- and give it a shot! You may find, like Amy did, that it’s a great stress reliever!